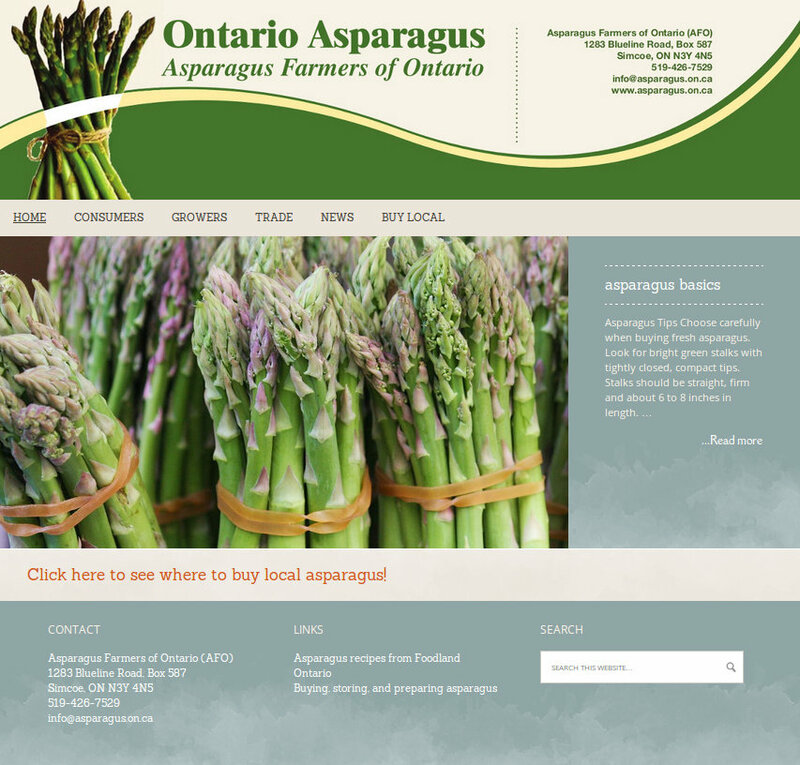 The Asparagus Farmers of Ontario wanted to replace their old-fashioned website with something modern. I built this fully responsive content management system for them. There’s a lot of good info here about best practices for buying and cooking asparagus. There’s also a private section for the organization’s members. The top banner is by Jane Thomson. Probably the coolest thing about this site is the custom Google map. There’s a large “call to arms” banner that when clicked gives a map showing all of the farms in the organization. Each farm has a marker that displays contact info and products offered. It’s great to have this info layered on a map because as soon as you find what you like you get instructions for driving there. It makes it easy for farmers and buyers to connect. Once they do, they keep coming back, because you only need to buy products fresh from a farm once before you see the immediate improvement in quality. It’s cheaper than the supermarkets, too. This interactive map is original work. I made the map as a separate project, then integrated it into this web site of my own design. There’s a point I want to make here — I can do things like this. If you dream it up, there’s a very high chance I can make it happen. My knowledge of computers is deep and broad. I have been making them dance for 35 years. I know how to take separate strands of technology and weave them together to best serve a purpose. And before I build anything for you, I’ll talk to you at length to find out exactly what purpose you’d wish to achieve with an ideal web site. This is why I call myself a “web architect”. My services go far beyond building you a standard cookie-cookie site. I want to build you a unique online application that best serves your needs. Many web developers, and pretty much all “social media experts”, are going to look at you with blank faces if you ask them to do anything beyond download and install a publicly available theme. They’ll be able to tweak a few exposed options likes colours and fonts, but that’s about it. When you ask for something unique, the smarter ones will say “no problem” and hire someone like me as a subcontractor. A better play is to just cut out the posers and hire me in the first place. I’ll do the job, the work will be solid, and you’ll be happy.